This is again hard level and have 12 jellies and out of them two in chocolates and one in grill. First you should try to make lot of special candies and don’t break grill as it will allow chocolates to increase. As you will have lot of special candies then try to combine with each other or specially with colorbomb to break all chocolates plus jellies. 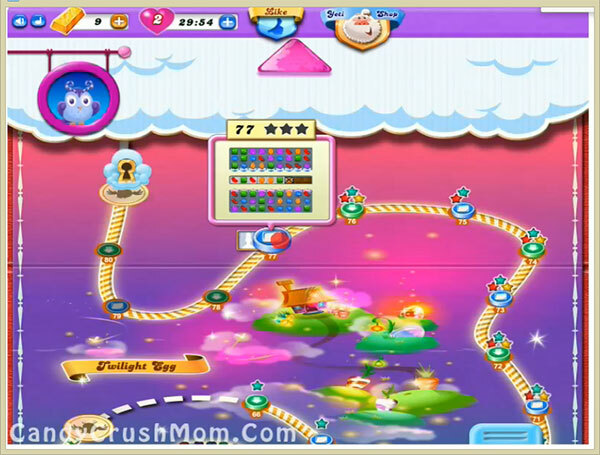 We completed this level with 108580 score and got single colorbomb that we combine with special candy to break all chocolates and some candies. We reach requirement within 19 moves and rest moves converted to fish booster that help to get three star score.